You are currently browsing the archives for the Kurt Daudt category. Earlier this week, I wrote about Speaker Daudt’s stinging criticism of Gov. 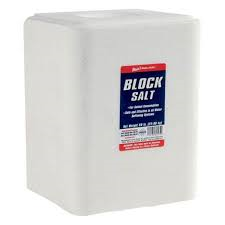 Dayton in this post. I’m not surprised that I’m not the only one lining up to take a shot at Gov. Dayton. This morning, I got my copy of Harold Hamilton’s weekly commentary. Harold didn’t pull punches in this week’s end-of-session summation. At the top of Harold’s commentary is his “Quote of the Week” section. The first quote, from Speaker Daudt, said “I can’t answer why Governor Dayton wasn’t engaged during session. He’ll have to answer those questions. His parking spot sits empty almost every day – he doesn’t even come to the Capitol. He hasn’t been engaged at all in his job here.” If Gov. Dayton wasn’t willing to do the work, he should’ve resigned so someone else could do the things needed to help Minnesotans. This session wasn’t a failure. Our governor was a failure. The governor is behaving like a toddler – emotional, impulsive, and unreasonable. It is just another part of his legacy of chaos and failure. Once again, Dayton demonstrated that he really isn’t up to the job of being chief executive of the state. Thus, he leaves a legacy of failure, a legacy of failing to lead and unite a divided state. Beyond that, he has no legacy. He has no signature achievements he or his liberal brethren can brag up. He is really left with only the dubious claim that presided over a massive increase in the state income tax, a sort of Holy Grail for liberals that visits upon the successful the misery of bearing their “fair share” of income taxes, which really means somewhere around 70% of the total burden. Much like President Obama, Gov. Dayton isn’t an executive. They’re both executives in name only. Also like President Obama, Gov. Dayton’s legacy stands a good chance of getting wiped out by his successor. Minnesota desperately needs a true executive who keeps the trains running on time. If Dayton didn’t show up, much less on time, how can we keep the trains running on time? Finally, it’s worth noting that Speaker Daudt typically is known as Mr. Calm, Cool and Collected. For him to go Vesuvius like he did Sunday and Wednesday, something serious must’ve bothered him. This shows just how incompetent Gov. Dayton is and how little he understands economics. If you punish corporations for bringing their profits back to the USA, they’ll keep their profits in other countries. These corporations don’t have an incentive to repatriate their funds if Gov. Dayton’s policy is to punish them. Gov. Dayton’s shortsighted and ideology-driven policies have led him to veto the legislature’s tax conformity bill. There’s no question that Gov. Dayton has been erratic the last 2+ weeks. There’s little question that he’s no longer mentally fit to serve as governor anymore. Just look at the things that’ve happened recently. MNLARS is a major administration failure that’s hurting deputy registrars. It’s putting some of them out of business. Others are losing their homes. Fox9 reported about massive amounts of fraud in the child care welfare system. Gov. Dayton’s response was that he found out about it via the station that broke the story. Earlier, it was reported that seniors living in elder care facilities had died because the people abused them or neglected them altogether. 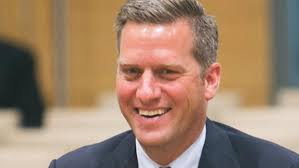 Perhaps Speaker Daudt’s most stinging shot came when he said “I’ve worked with this governor as the leader of my caucus the last 6 years, the last 4 years as Speaker and every opportunity, this governor will choose politics over people every time.” In fact, throughout the 24+ minute video, Speaker Daudt cited example after example of Gov. Dayton not being engaged in negotiating bills. The governor behaved like a toddler – emotional, impulsive, and unreasonable. Vetoing everything and bringing the session to a crashing halt because he couldn’t get exactly what he wanted is just another temper tantrum. It has become a recurring theme with this governor; it is a legacy of chaos and failure. The truly sad thing is the governor’s selfishness will have a devastating impact on Minnesotans. His vetoes tell us he doesn’t care about protecting students from the next school shooting. That he doesn’t care about saving the next victims of opioid abuse. That he doesn’t care about people struggling with mental health emergencies. That he doesn’t care about victims of elder abuse. The list goes on and on and on. These people don’t care about the governor’s political games. They just want to live their lives and the governor turned his back on them today. The governor’s veto of the supplemental budget is disappointing and irresponsible. The bill included new, needed protections for elderly and vulnerable Minnesotans, and his veto puts thousands at risk. Instead of standing with the people of our state, the governor chose to cement his legacy as a chief executive whose administration has been marred by scandal and obstruction. The elder care provisions included in the bill represented a bipartisan compromise that would have allowed the use of electronic monitoring, strengthened resident protections, better prevented retaliation, prohibited deceptive marketing, and enhanced provider accountability. Sen. Chamberlain is right. Gov. Dayton acted like a spoiled brat. I wrote about Gov. Dayton’s behavior many times during this session and the budget session. This isn’t something that wasn’t totally visible. It was there in plain sight the entire time. That being said, the Twin Cities media did their best to not cover it. Even in today’s press conference with Speaker Daudt, the questions were veiled attempts to defend Gov. Dayton. It didn’t work. Speaker Daudt was prepared and loaded with specifics. After vetoing the GOP tax conformity bill, Gov. Dayton sent this veto letter to Speaker Kurt Daudt in which he theoretically explained why he vetoed the tax conformity bill. It isn’t as much a governing document as it is a political document. What Gov. Dayton didn’t include in his letter is why the federal tax cut was heavy on cutting corporate tax rates. Gov. Dayton didn’t mention that Obama-era tax increases in corporate tax rates had made U.S. companies uncompetitive with other nations’ companies. The likely reason why Gov. Dayton didn’t mention that is because his tax policies have made Minnesota companies uncompetitive. Unfortunately, this tax bill, like the Federal Tax Law passed last year, prioritizes tax cuts for corporations over real people. Rather than investing in our children’s educations, the GOP has decided that the foreign profits of large, multinational corporations are more important. It’s accurate to say that he’s been the worst governor in recent Minnesota history. He’s supposedly forgotten important provisions in major bills that he’s negotiated. (Think sales tax on farm equipment repairs in the Tax bill of 2013 and the PSL provision in the Vikings stadium bill.) Now he’s insisting that he didn’t hear about the whistleblower report about the Somali child care fraud. This despite the fact that the whistleblower has repeatedly told reporters that he told people in Gov. Dayton’s inner circle about the fraud. When he was in the Senate, Dayton was named the worst senator in DC. It isn’t a stretch to think that he’s now added worst governor in Minnesota to his ‘trophy case’. After the Minnesota Supreme Court ruled in Gov. Dayton’s favor, he tried spinning the situation as best he could, saying “It is time for us all to agree that this dispute has been concluded and resume working together for the best interests of Minnesota.” The legislature quickly said, essentially, ‘Thanks but no thanks.’ They said that because Gov. Dayton negotiated a budget settlement in bad faith. Gov. Dayton pushed this lawsuit in his attempt to intimidate the legislature into caving on tax relief. Thankfully, the legislature didn’t relent. Here’s something worth considering, Gov. Dayton. The legislature worked in the best interest of their constituents. They did their best to enact much-needed tax relief while reforming teacher licensure. The first thing that the legislature will do when the next session convenes on Feb. 20, 2018 is pass a budget restoring their budget. It will sail through the House and pass the Senate. That’s when things get interesting. Will Gov. Dayton veto that funding, setting up a high-stakes showdown on an override vote? That’s a lose-lose situation for Gov. Dayton. If he vetoes the funding, it’s likely that he’ll get overridden. That’s because I don’t think it’s likely that outstate DFL legislators will vote to end their political careers to sustain Gov. Dayton’s veto. If the DFL legislators vote to sustain Gov. Dayton’s veto, they can kiss their political careers goodbye. 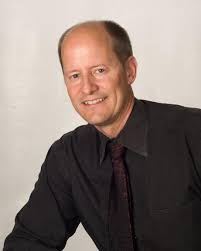 Republicans should portray each DFL legislator as representing Gov. Dayton first, their special interest allies second and their constituents somewhere down their list of priorities. If Gov. Dayton signs the appropriation, he will have won a victory in court but lost the PR war. Pyrrhic victories don’t make for great legacies. Either way, Gov. Dayton’s victory will be short-lived. Republicans need to not let Gov. Dayton off the hook. Gov. Dayton is a lame duck governor who must be thinking about what his legacy will be. At this point, a significant portion of his legacy will be shutting down government once and calling special sessions to finish the budget. Will he want to preside over a downgrading of Minnesota’s credit rating, too? That will be on him if he vetoes February’s appropriation funding the legislature. Each time Republicans have stood up to him over the budget, Gov. Dayton has lost stature while losing the fight. There’s no reason to think he won’t lose this fight, too. Finally, the Supreme Court disgraced themselves yesterday. They didn’t rule on whether Gov. Dayton’s line-item veto achieved an unconstitutional result, which is the central question. They didn’t rule on that question while pretending to exercise judicial restraint. They exercised judicial cowardice, not judicial restraint. They did that because they didn’t want to hand Gov. Dayton a political defeat. That’s pathetic. Whatever it is, it isn’t justice. When Gov. 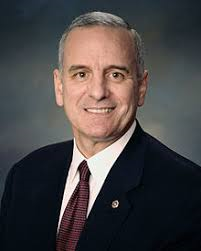 Dayton whined about being lied to about the House’s and Senate’s reserves being enough to allow them to operate until the 2018 session starts, he said that the legislature could then attempt to override his veto. That’s a rather duplicitous statement made during a speech when he accused Republicans of lying to him, “to Minnesotans and to the Supreme Court.” It’s duplicitous because he knows the chances of a single DFL legislator voting against him is virtually non-existent if not actually non-existent. Further, Gov. Dayton knows that his line-item veto didn’t just zero out the legislature’s budget for 3 months or 6 months. Gov. Dayton’s line-item veto eliminated funding for the entire biennium. Saying that the legislature has the option of overriding his veto is duplicitous because, while technically available, the reality is that it isn’t a realistic option. It’s worth noting that legal theories don’t exist in a vacuum. It isn’t honest to say that the legislature can override his veto when everyone knows that the DFL won’t supply a single vote to override. During his press conference, Gov. Dayton said that the “2017 Tax Bill will seriously jeopardize Minnesota government’s future and financial stability.” Notice that he didn’t say anything about the Tax Bill’s benefits to families, hard-working small businesses and farmers. That’s a pretty clear insight into Gov. Dayton’s governing philosophy. It’s the DFL’s governing philosophy, too. The difference in tone between Gov. Dayton and Speaker Daudt was sharp. Gov. Dayton sounded like a petulant child throwing a hissy fit. Speaker Daudt sounded like an adult.